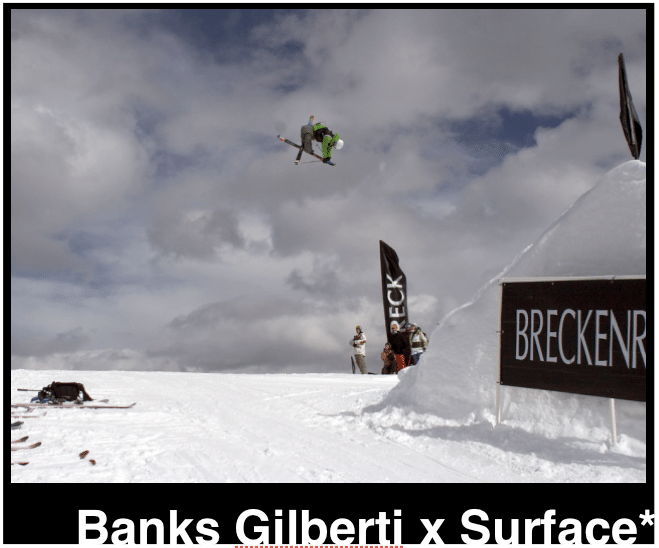 Surface is stoked to announce the signing of Banks Gilberti to the Surface Global Team, which currently consists of Blake Nyman, Jordan Seldin and Paco Garcia. Currently located in Burlington, VT, Banks is anxiously awaiting his move back to Breckenridge. Banks fits right in here at Surface and we are stoked to work closely with him this season filming for Walks of Life, traveling, competing or whatever happens to happen. Surface Style.